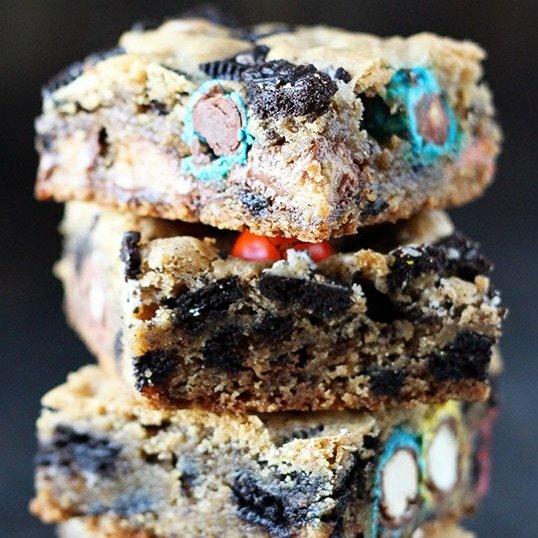 Loaded Cookie Bars are stuffed with Oreo cookies, M&M's, and Reese's candy but you can toss in whatever you want! They're thick, chewy, and scrumptious. Perfect for leftover Halloween candy! No mixer required. Taste: Like all your favorite treats combined into one heavenly bar of goodness. Texture: Thick, chewy, soft, crunchy, and wonderful. Perfect with a glass of milk. Ease: Super easy. No electric mixer needed, no waiting for butter to come to room temperature, no dough chilling, and no scooping and rolling balls. Watch the video to see exactly how these are made PLUS all the cookie tips and tricks. 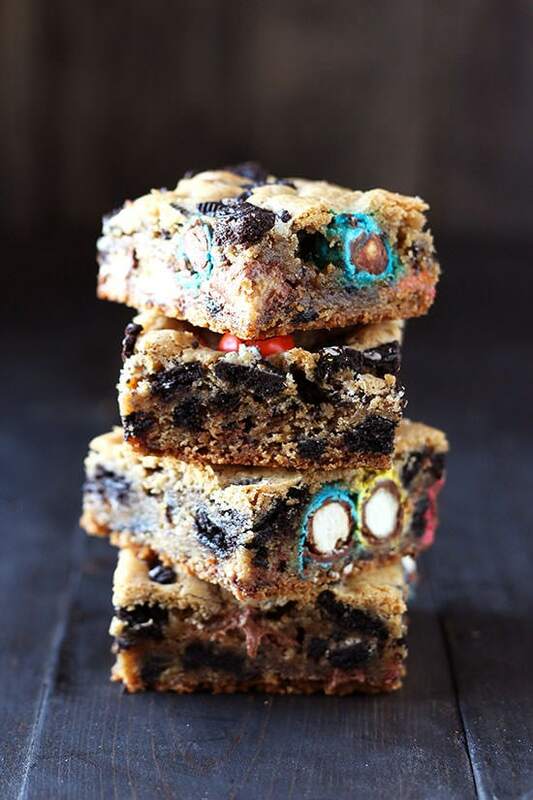 Appearance: You can see why these are called LOADED cookie bars! Look at all that deliciousness stuffed inside. Pros: Super fun, easy, and tasty treat. Perfect for using up leftover Halloween candy or whatever odds and ends you have in your pantry. I am currently in an afternoon daze. It’s so sunny and warm and I spent the morning running errands and now all I want to do is take a nap. Must. power. through. I have to avoid napping because I need to finish this post! I need to finish it because I’m so excited to share this recipe with you guys. It’s what’s sustaining me right now! 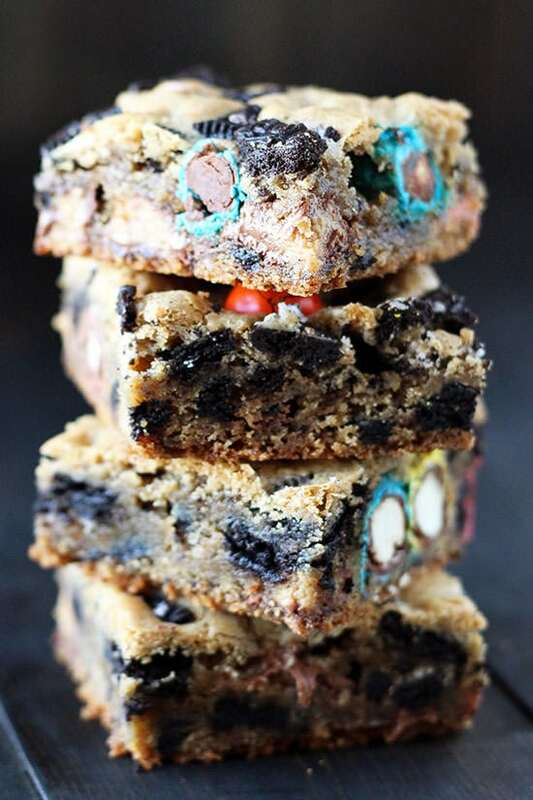 The idea of super chewy, slightly gooey, and ultra tasty cookie bars loaded with all my favorite treats, Oreos, Pretzel M&M’s, and Reese’s cups, is the only thing keeping me here at my computer instead of on the couch! Side note: it’s pretty awesome that I get to work from home and can set my own hours. I don’t function as well in the afternoon as I do in the morning and at night, so I can plan my day around that. It’s such a blessing and I have YOU to thank in part for it. 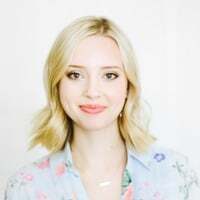 Thanks for reading my blog and keeping me in business! Anyways, these Loaded Cookie Bars are super simple. No electric mixer, no chilling, no scooping. Nada. 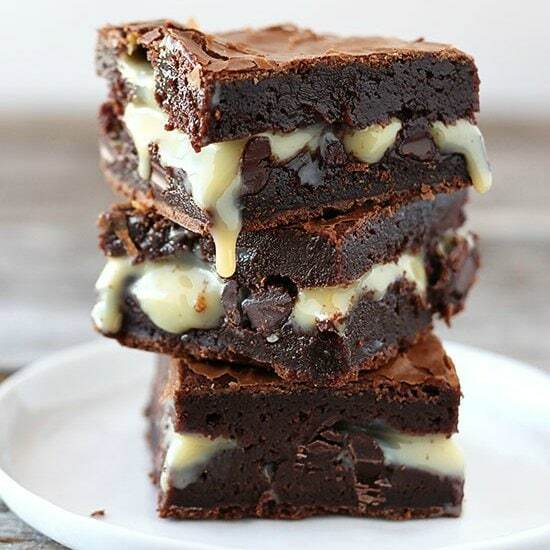 Just mix it all together and plop it into a pan and bake. Who needs artificial refrigerated cookie dough when it’s this simple? I even created a video for you to see how they’re made with some other baking tips and tricks below. The best part about these bars is that they’re completely customizable. You can add in whatever candy, cookies, and treats you want. Snickers, graham crackers, peanut butter chips, Hershey’s bars, whatever is left in your pantry. Whatever is left in your kid’s Halloween bucket. Whatever your heart desires! How Do I make my cookies and bars CHEWY? Watch the video below to see exactly how these bars are made AND to learn all my favorite tips and tricks for making your cookies and bars extra chewy and wonderful. For the best possible results, make the recipe as written. You can use only all-purpose flour instead of all-purpose and bread flour, but your bars will be a little less chewy. For this video I decided to switch things up a little bit. Instead of doing my usual voice-over, I’m on camera explaining everything to you the entire time. It’s a little bit longer and it takes more effort on my part to create, but I think it’s more fun! Let me know if you have preference on which style you prefer. 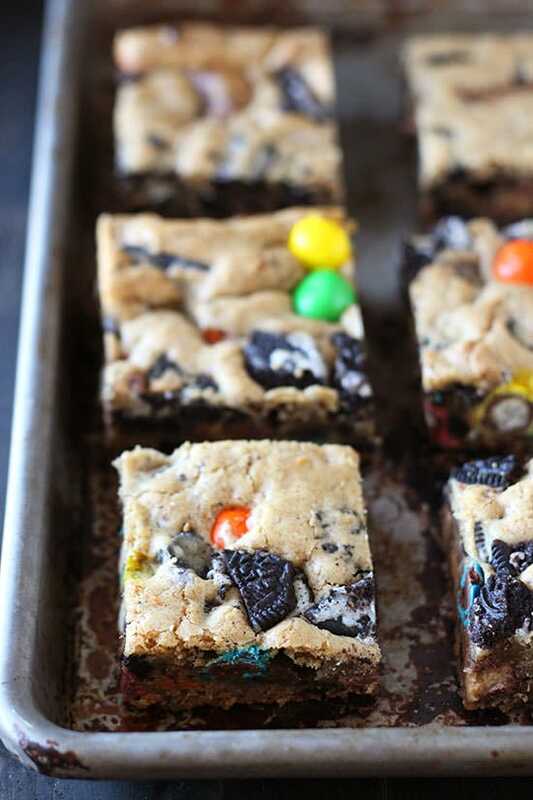 What would you load these cookie bars with? 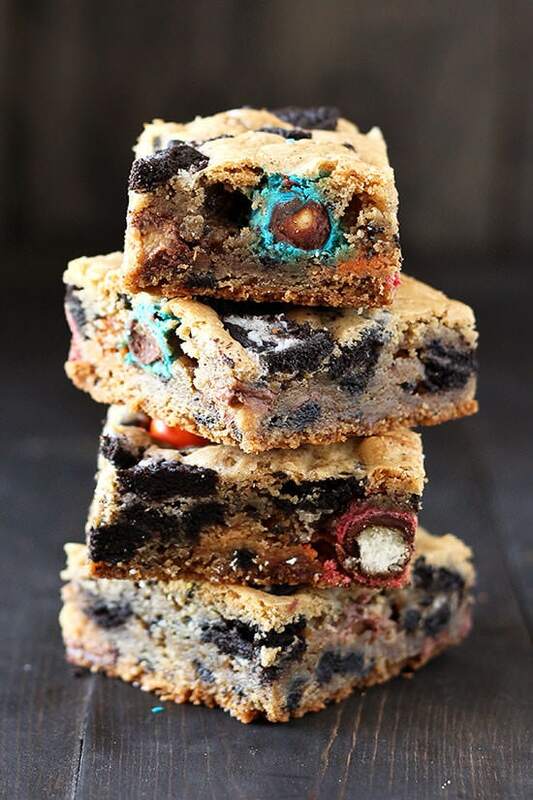 If you make these Loaded Cookie Bars, be sure to take a picture and tag it #handletheheat on Instagram. I love seeing your photos! Preheat the oven to 350°F. Line a 9 by 13-inch pan with foil and spray with nonstick cooking spray. In a medium bowl combine the all-purpose flour, bread flour, baking soda, and salt. In a large bowl, vigorously stir the melted butter, granulated sugar, and brown sugar until very well combined. Add in the vanilla, eggs, and egg yolk and stir until well combined. Gradually add in the flour and stir until just combined. Fold in the Oreos, M&M’s, and Reese’s, reserving some to sprinkle on top. Remove the dough to the prepared pan, pressing evenly. Sprinkle with the reserved candy, pressing down lightly with a spatula. Bake for 25 minutes, or until golden brown but not overcooked. Cool completely before cutting into squares and serving. Bars can be stored in an airtight container at room temperature for up to 3 days. I’m only in a warm daze because I’m curled up under a heated blanket and am pounding back coffee. It’s another cold and rainy day in Seattle. 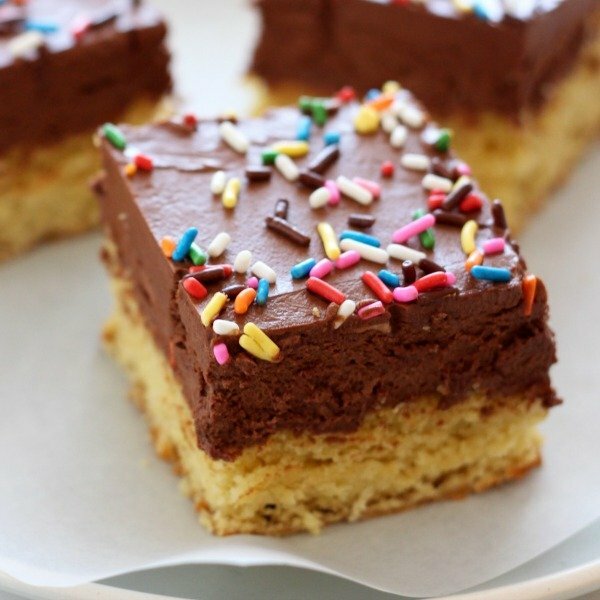 I don’t have any kids to bring me candy to make these AMAZING bars, but that means less sharing for me 😉 Pinned! I don’t know what it is but I’ve been so tired lately too. . and I never need to take a nap! Well, thank goodness we get an extra hour of sleep this weekend! Daylight savings to the rescue! I love the idea of using up leftover halloween candy for these!!! love and pinned! Oh man, chewy cookie bars are the BEST! Oh my god. 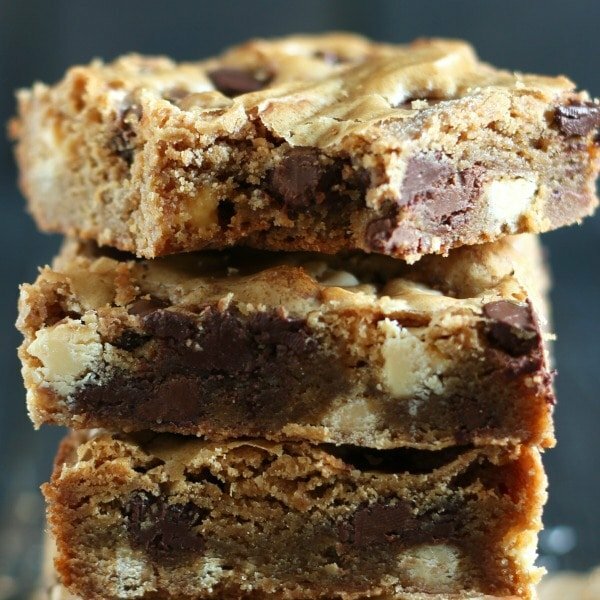 These cookie bars look amazing. Crunchy, chewy, thick, and easy to make? What’s not to like?! ohhhhh man, these out sinful!! You are an amazing cook. Thank you for taking the time to break down recipes to find out how to get the best results. I also love that you use ingredients that I already have and clearly describe the directions so that I can replicate your successes. These are on my gotta-make list and I know they will be met with rave reviews. Great video. Yes prefer on camera. short and to the point. Really like the anicdotal tips. Like why melted butter and why only baking soda. If I sub the Oreos with something else would Iuse about a cup of mixins or so? Can you use just A.P flour?